Mongoose is ideal for embedded environments. It has been designed for connecting devices and bringing them online. On the market since 2004, used by vast number of open source and commercial products - it even runs on the International Space station! Mongoose makes embedded network programming fast, robust, and easy. Looking for a complete IoT firmware solution? Check out Mongoose OS - open source embedded operating system for low-power connected microcontrollers. 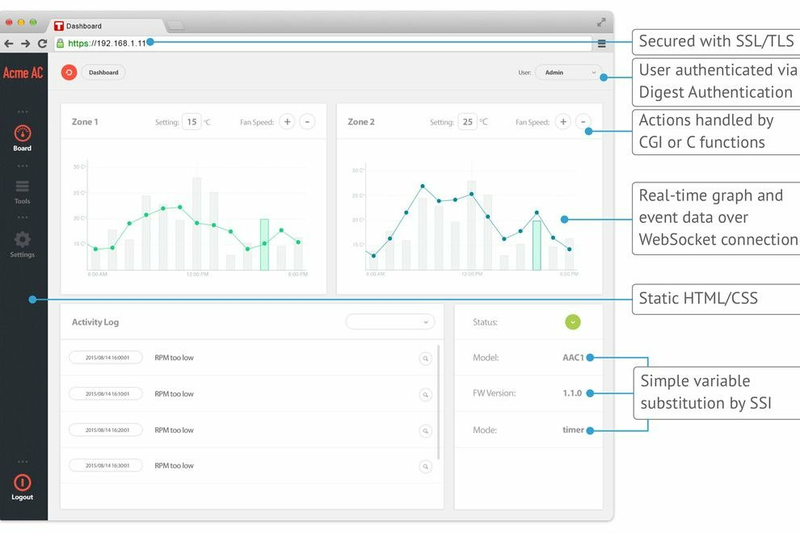 Secure, designed for Internet of Things, complete environment for prototyping, development and managing. Mongoose is released under Commercial and GNU GPL v.2 open source licenses. Commercial Projects: Contact us for commercial license. Developing a new product? Contact us today to discuss how Mongoose can help. To submit contributions, sign Cesanta CLA and send GitHub pull request. You retain the copyright on your contributions. Looking for a pre-compiled Mongoose web server Windows or Mac binary? Download pre-compiled Mongoose web server binary.